A big thank you to everyone who sent in photos for this year’s Photo of the Year Competition. It was a near impossible decision to choose just five from the many we received but, after much discussion and debate, we’ve come up with our finalists. Here they are, together with a little bit of explanation about where they were taken. This rather magnificent yak was photographed in front of Ama Dablam on the trail to Gokyo from Everest Base Camp. In fact, its exact location was the hamlet of Dzong La at 4,850m and Mr Green did exceptionally well to take a picture with such a perfectly posed yak. The village of Skiu, along with neighbouring Chilling, is renowned for its tradition of copper work and this image shows one of the coppersmiths at work outside his home. The tools may be very basic but the quality of the workmanship is exceptional and it takes many years to reach the required standard. This is only one of many fascinating cultural and natural sights you can see on a trek along the Markha Valley in Ladakh. 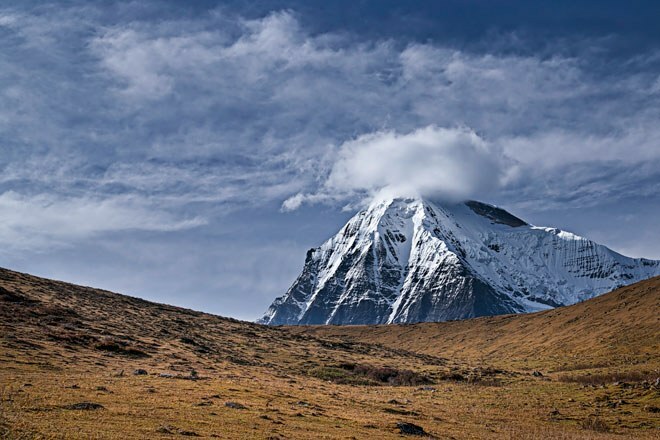 This impressive shot of Mount Tsheri Kang in the Himalayan mountains of Bhutan, was taken after 8 days of trekking on the remote Lingshi Laya trek. Having made the long haul to the top of the Jarela Pass at 4,785m, the views of the majestic peak of Tsheri Kang, towering above the pass, make all the hard work worthwhile. 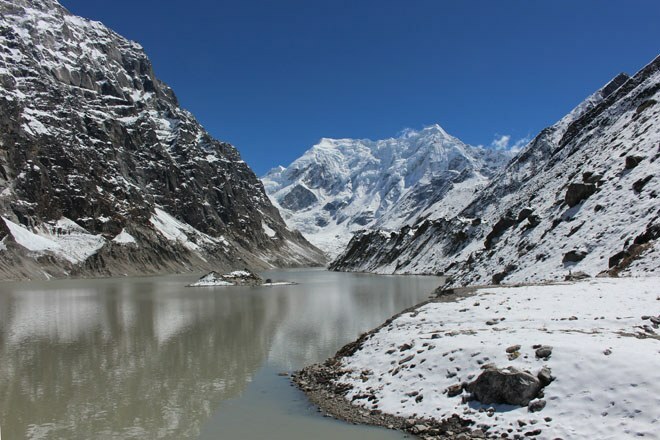 The remote Naar-Phu region of Nepal lies close to the border with Tibet and provides a wonderfully remote trekking experience away from the traditional Annapurna Circuit. Lying close to the Tibetan border, the customs and practices of Tibetan Buddhism are evident throughout the area as can be seen in the traditional dress and the colourful prayer wheels in this photograph. It was taken in the village of Dharapani, right at the start of the trek. This is another off-the-beaten-track trek near to the Tibetan border. The trail leads between giant Himalayan peaks, through the hidden Rolwaling Valley till it eventually reaches Bigu Gompa – a remote yet important Buddhist monastery. The beautiful and serene lake in this image makes a wonderful picnic spot with its superb views of the surrounding peaks. The winner of this year’s competition will win £150 off a Mountain Kingdoms holiday. Good luck to our five finalists.